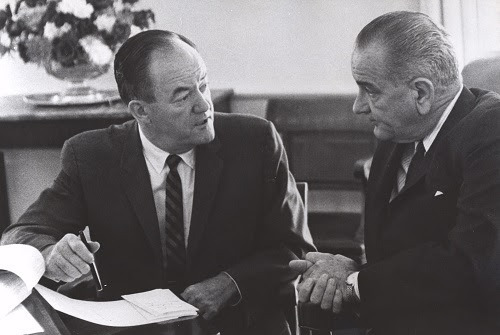 Fifty years ago this month President Lyndon Johnson secretly turned his back on a failed "hard power" military strategy recommended by Secretary of Defense Robert McNamara as the road to victory in Vietnam. That strategy included search and destroy tactics and high altitude bombing. Instead, President Johnson decided to withdraw American combat forces from South Vietnam while simultaneously turning the war over to the South Vietnamese. The transition would rest on mobilization of the South Vietnamese people against the communists through elections and a new counterinsurgency program called CORDS, which would defeat the Viet Cong inside South Vietnam. This history has never been revealed and requires a re-appraisal of President Johnson's leadership in the defense of South Vietnam against North Vietnamese aggression. About the SpeakerSteve Young served with CORDS in the Republic of Vietnam from 1968 through 1971. Later he assisted Ellsworth Bunker write memoirs of his ambassadorship in Saigon during the Vietnam War. Hamilton Books is publishing Steve's book on the history of CORDS.